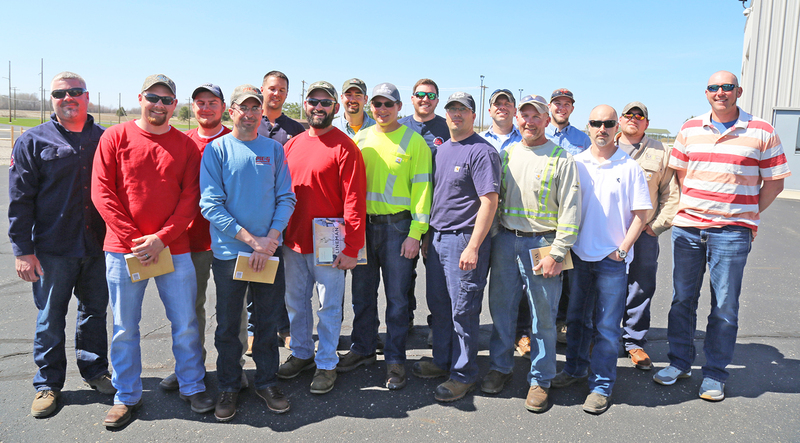 The inaugural class celebrated the graduation of 18 apprentice linemen from 13 Michigan utilities that collectively span Michigan’s entire Lower Peninsula. The JMAP is a U.S. Department of Labor-certified program committed to producing safe, high-quality journeymen through exceptional, state-of-the-art apprenticeship training. The program is a partnership between Wolverine Power Cooperative, the International Brotherhood of Electrical Workers Local 876 (IBEW), and Northwest Lineman College—an industry-leading educational institution that provides pre-apprentice, apprentice, and journey-level training for hundreds of companies throughout the United States and internationally. The JMAP began in the fall of 2017 and welcomed its first class of 61 apprentices from 28 Michigan utilities in the program’s inaugural class in September.